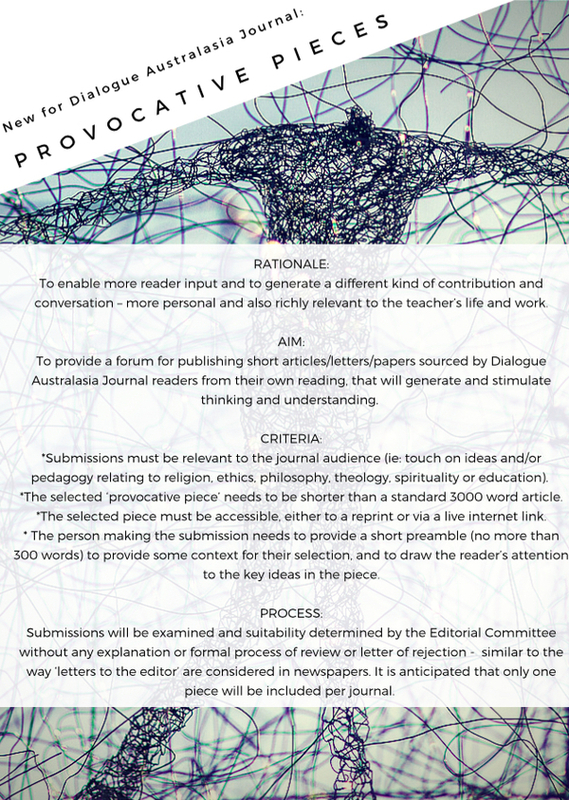 In this newsletter I encourage you to contribute to our dialogue via submissions for the next issue of Dialogue Australasia Journal and an online resources list for teaching about Science & Religion. The 36th Issue (Nov 2016) of Dialogue Australasia Journal will be themed around the dialogue between Science & Religion. A list of accompanying resources will be posted on the DAN website. It would be great to receive details of your favourite books/articles/films/websites that you've used with your students so these can feature on our resources list. Readers of the May 2016 Issue of Dialogue might recall the introduction of a new segment, 'Provocative Pieces' - where we invited you to share a short piece from your reading as a source of stimulation for colleagues. You can read more about this below - and look forward in advance to hearing from you! Science & Religion Resources List by Friday 7 October. You may recall Ros' 2 earlier interfaith prayer compilations: Mosaic and A World of Prayer (both wonderful sources of inspiration for school assemblies and classes containing prayers, reflections and quotations from Australia and around the world). In this just released compilation A Matter of Life and Death, Ros brings together contributors from different backgrounds including a Holocaust survivor and a death row inmate to explore perspectives on death. Each contributor offers commentary on a written or visual work that best expresses death to them. 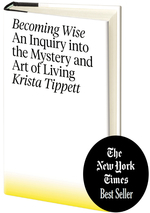 Peabody Award-winning broadcaster and National Humanities Medalist Krista Tippett has interviewed the most extraordinary voices examining the great questions of meaning for our time. The heart of her work on her NPR program and podcast, On Being, has been to shine a light on people whose insights kindle in us a sense of wonder and courage. Scientists in a variety of fields; theologians from an array of faiths; poets, activists, and many others have all opened themselves up to Tippett's compassionate yet searching conversation. Another fantastic addition to the EthicsOnline series which now numbers 8 films, Ethical Theory II offers three films (18-25 mins) on the comparative theories of Virtue Ethics, Natural Moral Law and Utilitarianism. If you've never looked at a clip from these films and/or the accompanying teacher's notes, scripts and classroom activities, why not preview them now here. 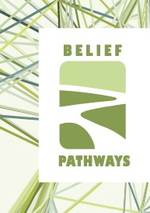 Pathways is an innovative inter-belief coalition in Victoria created for educational purposes. 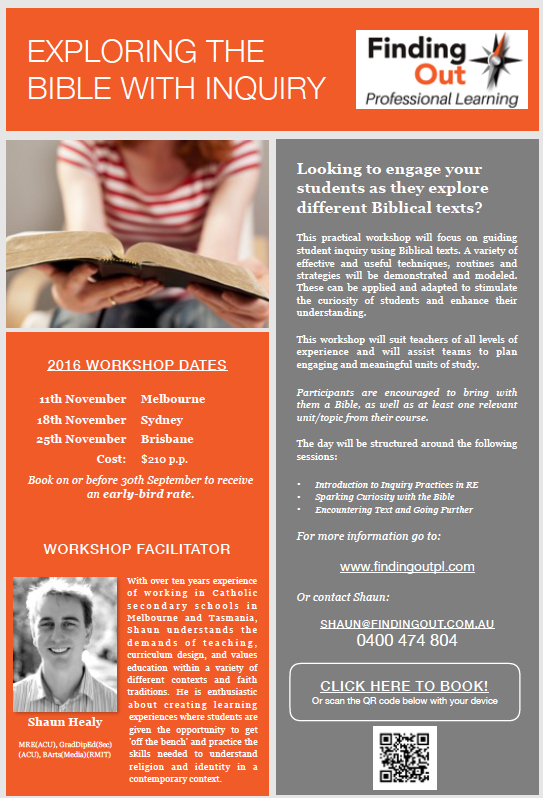 Its main endeavour is Path-Wise: a 70-90 minute presentation for senior high school students featuring 3 young adults with a range of worldviews and freethought traditions. Each presenter talks briefly about the beliefs of their family of origin and about the journey towards their own worldview. Students are then invited to ask questions of the speakers. Schools may nominate their preferred combination of three voices to reflect a range of faiths and philosophies. Read more about Pathways and how you might organise a presentation for your students. Watch a 2 minute video on the PathWays website. Our Olympic athletes are home, and with the celebrations, the usual recriminations and hard conversations. 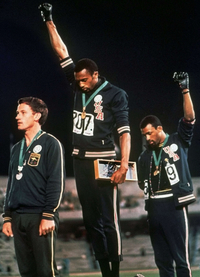 For a different and uplifting perspective, you may be inspired to share with your students the little known story of Australian sprinter and silver medalist, Peter Norman - the white man in this iconic photo from the 1968 Summer Olympics in Mexico City. As Riccardo Gazzaniga reflects in a wonderful article published in On Being last week, Norman's quiet, iconic public stand for human rights on the podium that day alongside John Carlos and Tommie Smith reveals a heartening, surprising story of alliance and brotherhood. As a result of Norman's actions, and his refusal to retrospectively condemn his co-athletes on the podium, the greatest Australian sprinter in history and holder of the 200 meter record was ostracized back in change-resisting, whitewashed Australia and by the Australian Olympic Committee. He was not allowed to participate in the 1972 Munich Olympics, nor was he invited to the 2000 Olympics in Sydney. Norman died in 2006. Only in 2012 did the Australian Parliament approve a motion to formally apologise to him and rewrite him into history. 'Peter paid the price with his choice...He consciously chose to be a sacrifical lamb in the name of human rights. There's no one more than him that Australia should honour, recognise and appreciate,' fellow athlete Carlos said. Read more about Peter Norman's story in this article. You might also be interested in previewing Salute, the documentary film Norman's nephew made about him. Salute is also available for viewing on SBS On Demand. You can listen to excerpts on ABC The Spirit of Things, and read insights from Rachael Kohn and Sarah Bachelard. An Interfaith Panel discussion with Buddhist Nun the venerable Robina Courtin, Muslim academic Dr Susan Carland of Monash University, Dr Bill Leadbetter of St Georges Cathedral in Perth, Fr Aloysius Mowe Director of the Jesuit Refugee Service and Rabbi Jacqui Ninio of Emmanuel Synagogue in Sydney was held at Newington College on Wed 20 July. You can listen to the discussion here (aired on Sunday Nights with John Cleary).